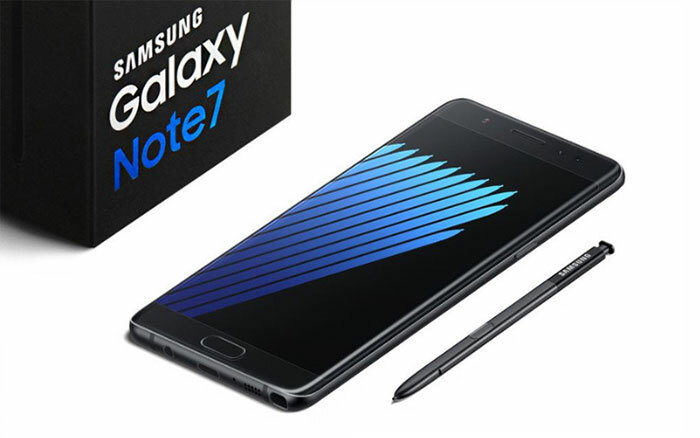 Samsung is putting refurbished Galaxy Note 7 smartphones back on the market in Korea after a massive scandal saw the combustible devices banned from all flights and recalled around the world. Samsung won the green light from the U.S. Federal Communications Commission last Thursday to sell the refurbished phones and will also file for authorization from Korea's National Radio Research Agency. Tech website Phone Arena reported late last month that the phones were also given the all-clear by Wi-Fi Alliance, a nonprofit that certifies Wi-Fi products if they conform to certain standards of interoperability. The FCC passed three types of refurbished Note 7s, presumably so they can be released by Korea's three mobile service providers SK Telecom, KT and LG Uplus. Some Internet vendors have already started advertising them amid expectations that the refurbished phones will hit stores in late May or early June. According to tech media, the phones have been stripped of their old rechargeable batteries, which have been blamed for the spontaneous fires, and equipped with new ones that lower capacity from 3,500 mAh to 3,200 mAh to prevent overheating. The refurbished versions will be sold at roughly half the price of the original phones. A Samsung staffer said the release date has yet to be decided, but they will come out before the Galaxy Note 8 is released in the second half of this year.